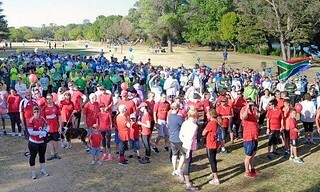 Last Saturday we celebrated International parkrun day around the World. 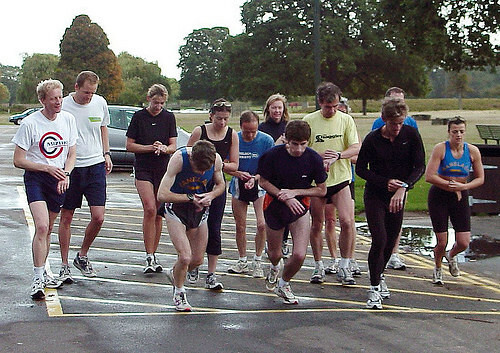 12 years ago, Paul Sinton-Hewitt organised the first parkrun in London’s Bushy Park. 13 parkrun pioneers ran that first parkrun Paul didn’t even run the first parkrun. He was a volunteer timekeeper that morning. We all know how that original parkrun went on to create the World’s largest sporting event and since then over 1.8 million different people have completed a parkrun, with over 200,000 volunteers. On Saturday over 150,000 people ran parkruns around the World. In just under 5 years in South Africa, we have grown from one parkrun with 26 participants, to 85 parkruns, with between 25,000 to 30,000 parkrunners and volunteers participating every Saturday morning. Total registrations for South Africa now exceed 460,000. Most importantly, parkrun has made an amazing contribution to communities all over the country John Cameron Dow sent us this astonishing snippet about his favourite parkrun at Rondebosch Common. On Saturday, the oldest participant at Rondebosch Common was 91 years old, and the youngest, in a pram, was 11 days old. We will be celebrating parkrun SA’s 5th birthday next month, so more on that in the next newsletter. As the season gets warmer, I am reminded that last year some of our dogs got themselves into trouble. I would like to encourage dog owners to bring water for their dogs and to consider the conditions before bringing their dog along. 5km is a long distance for a dog, especially if it is very warm and there are some breeds of dog which are just not suited to walking or running 5k in the heat. We also need to look after ourselves in these warmer conditions. One thing we can do is to update our ICE (In case of emergency) details. This can be done by accessing our parkrun profiles via the results email or this newsletter. We can add our emergency numbers to our profile. I hope I don’t sound like too much of a nag but I just want everyone, and their pets, to have fun at parkrun this summer. Almost in time for the summer holidays, we will be launching a new parkrun at Umdoni (Pennington) on Saturday. It is bound to be a well-organised event as Event Director, Gail Keevy, hails from Boksburg parkrun where she learnt the skills of organising a large parkrun while she was a volunteer there. There will be a large gathering of parkrun tourists and visitors there on Saturday morning. From Rondebosch to Roodepoort, from Paarl to Polokwane, South Africa comes alive every Saturday morning with parkruns across the country! We’d love to see a glimpse of your parkrun. Got pics? Share yours with us online. Find us on Instagram at @mrpsport, on Twitter @MrPriceSport and on Facebook to show us the parkruns you’ve run! Achievement tee update: Our team is currently in the process of sending out another batch of achievement tees to work through the backlog. 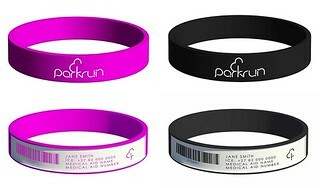 These should reach the various parkruns across S.A. over the next few weeks. Delivery will depend on the area (big towns will receive theirs sooner than smaller outlying areas). If you’ve earned your next milestone tee, we look forward to seeing you run in yours! We have great news for Vitality members! Our expanded Vitality race events calendar gives you even more ways to get active and get rewarded. You can now earn fitness points for any timed and verified race events in the disciplines of cycling, walking/ running, swimming and major multisport events, provided that they meet certain criteria. If you want your results to count towards your Vitality Active Rewards goal, please send through proof that you have completed the event in the form of a certificate or a screenshot of your race results, before 5pm on the Friday after the event. Terms and conditions apply. Learn more about how you can claim fitness points for completing races using the self-capture screen. Remember: Vitality members earn up to 300 fitness points for every parkrun event they complete. Your points will be awarded as long as you register, link your parkrun profile with Discovery Vitality using your SA ID or passport number, and scan your barcode after every parkrun. Your points will take up to four days to reflect on your Discovery app. Please note that you will not be able to claim your points manually for completing a parkrun; we will award your points automatically. 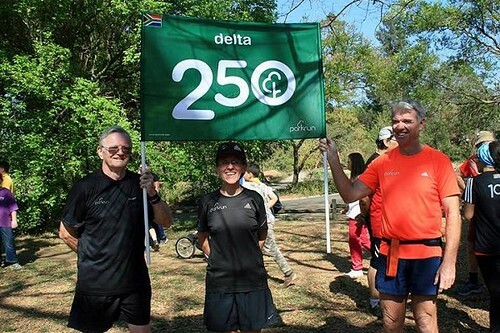 Tracy Rankin became parkrun South Africa’s first 250 milestone parkrunner on 24th September. Considering that Delta parkrun was the first in SA and held their 258th event that day, Tracy has only missed 8 parkruns since parkrun began in SA. Tracy joins just 791 other parkrunners in the entire world who have reached 250 parkruns. It’s an amazing achievement by Tracy – congratulations from everyone at parkrun South Africa! Gilloolys parkrun celebrated Heritage day this 24th September by positioning all the parkrunners in the section of the South African Flag that corresponded to the colour that they were wearing. The event was well attended, with 1,045 parkrunners showing that there is Unity in Diversity and that we can actively embrace each other’s Culture and Heritage, running side by side! My journey started about 16 months ago. 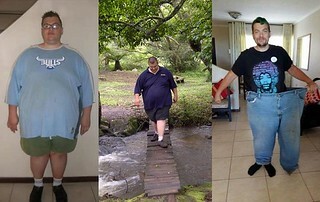 Weighing about 200kg, hardly able to walk, always tired and without energy, I was addicted to sugary foods and drinks. I was also missing out on life because I just could not get off the couch. I got introduced to an amazing program that helped me sort my diet and energy needs. I started walking and working out. I was introduced to parkrun when I was around 180kg. My first ever parkrun was Shongweni, a two lap parkrun, I walked one lap and thought I was going to die. But the whole community surrounding parkrun drew me in and I went back. As the weight dropped I was able to start running, and then I discovered a hidden passion I never knew about. I fell in love with running. 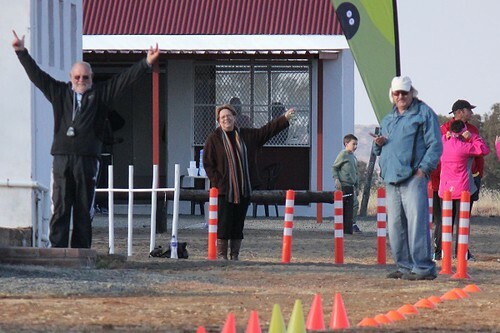 When I heard about Thousand Hills parkrun opening, I was first in line to run it. The first time, I had to walk it and took me about 1 hour and 40 minutes to complete. But I followed my passion for running and today have a PB of 33 minutes on that course. parkrun was the place I fell in love with running. Today I have dreams of experiencing different parkruns around our beautiful country. I also hope to start experiencing and competing in events beyond parkrun. My ultimate goal is to complete the Comrades Marathon. Running is my happy space; a place where my mind is clear. It becomes just me and the road. Everything else melts away and my steps simply echo my heartbeat as I push my limits. I am living proof that parkrun is for everyone. Like me you might fall in love with walking / running. Today I am 110kg. When I am happy, I run. When I am sad, I run. When I am angry, I run faster. I will continue to run and I look forward to meeting many more people along the way. I was going through some old photos the other day and found this picture of my daughter Emma (who was about 18 months at the time) walking around Wimbledon Common whilst I took part in the parkrun. Last week at Root 44, my daughter, now 10, completed her 50th parkrun! It seems like just the other day that my good friends Johnny and Anel Wesson came back from a walk around Bushy Park and told me how they had seen this 5km time trial taking place and I should come and join them the next weekend. 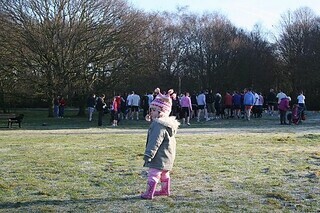 After running in those first parkruns at Bushy we then started taking part in the parkrun at Wimbledon Common. When we came back to SA we had no idea that the parkruns we took part in all those years ago would make their way down to SA and would become what they have. parkruns are a big part of our family routine most weekends and it is something that everyone in our broader family is involved in. From my 6-year-old daughter to my 74-year-old father, we are all out there having some fun. We even have a family parkrun WhatsApp group. So it was a special occasion last weekend when our daughter completed her 50th and all the family was there to celebrate the occasion. We have been amazed by her dedication. Every Saturday morning she has been the one encouraging us to get up and go. Her Bruce Fordyce signed certificate (received from him in person at Century City) is proudly displayed on her bedroom door and now she is very excited to be getting that 50 t-shirt. From Bushy Park, to Wimbledon to Cape Town, the parkrun journey has been a lot of fun and we look forward to the journey in the years ahead. It’s amazing to think that I started my parkrun journey about 2 years ago. I told my parents to join and they did. In the 2 years so much has changed; My Dad decided to quit smoking after 30 years and he is still going strong. My brother went from being lazy to running sub 22 minutes. I did my first marathon in Cape Town last week. My mom not only lost a lot of weight, but became a runner. She would only walk and then slowly started jogging to such a point where she can now run a 5k. She took about 15-20 minutes off her time. Slowly we all became addicted to parkrun. My parents hardly miss a parkrun and when planning a holiday they make sure they are there over a weekend so to run a parkrun in different parts of the world. parkrun changed us for the good. There is a volunteer at Golden Harvest who has exceeded 50 consecutive parkruns as a volunteer at the finish! Every Saturday now for over a year, he has managed to get himself to the park, with the help of friends from Golden Harvest Retirement Village, where he lives. With the aid of a frame, he slowly gets to his position and takes up his duties as time-keeper and does not budge until he has recorded the time of each and every parkrunner that comes through to the end. Come rain, shine, cold or the heat he has not faltered! His name is Rex Gazzard. Rex was a Comrades runner, having successfully completed nine journeys along with many other marathons and ultras over a long running career with Rand Athletics Club. 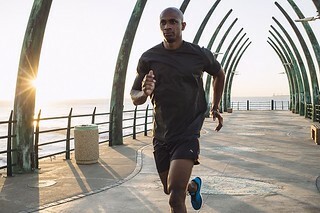 His deteriorating health eventually put paid to his conquests out on the road, but that has not ended his love for the sport and now he continues to support others who are more fortunate health wise than he is. Roodepoort parkrunners celebrated Heritage Day by assisting in cleaning up Len Rutter Park. Local Councillor, Caleb Fynn, attended the event and has promised to participate when his hectic schedule has slowed down. Pikitup supplied over 100 refuse bags and gloves for this initiative and City Parks were instrumental in assisting too. George Taylor, one of the dedicated Run Directors was key in coordinating the clean-up, 40 bags of refuse were collected and packed neatly away after the event for Pikitup to remove later during the day. Roodepoort parkrun is grateful to all the parkrunners who participated in the clean-up. On Saturday, I was so inspired at the Victoria Park parkrun that I just had to share. There was a gentleman taking part in the parkrun on crutches and he was giving it everything he had. It was so good to see that parkrun has got all sorts of people up and walking (I am one of them), running, and now even crutching. I say a huge well done to this guy, whoever he was, and a big thank you to him for inspiring me to continue with my walks. Lompies is the person to set up the race and time the volunteers. He’s really a person we cannot do without. He is one in a million - a wonderful person everybody wants to be around. Without Lompies the parkrun setup won't run smoothly. He is known as Mr Reliable. parkrun will not be parkrun without Gane, he is a real 'spirit'. Gane livens up the parkrun and no matter how tired the runners are he encourages them and they always finish with a smile on their face. Lompies & Gane are fantastic volunteers, they always willing to help and even if they are not on duty, they will come to parkrun just to check if all is running smoothly.